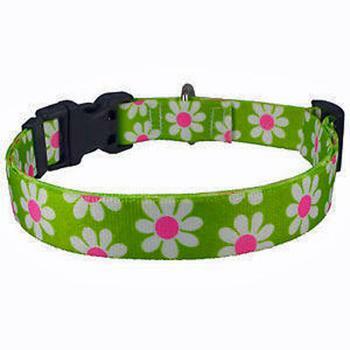 Trend Setters T "Green Daisy" standard easy-clip designer collar by Yellowdog Design can be sized from xs- large". Our standard easy-clip designer collars are made in the U.S.A. of 100% vibrant color-fast polyester with durable plastic buckles, plastic slip locks, and a metal D-ring. 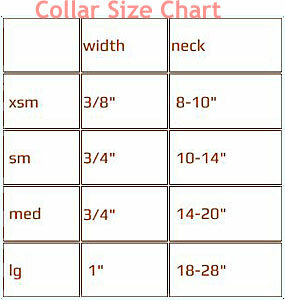 Best of all this collar is washable!